Clean, friendly staff, and practical—all around a great budget travel option. Excellent, convenient location with a good variety of rooms that feels safe for female guests. The hostel is clean and comfortable and has all of the services and facilities a backpacker needs. 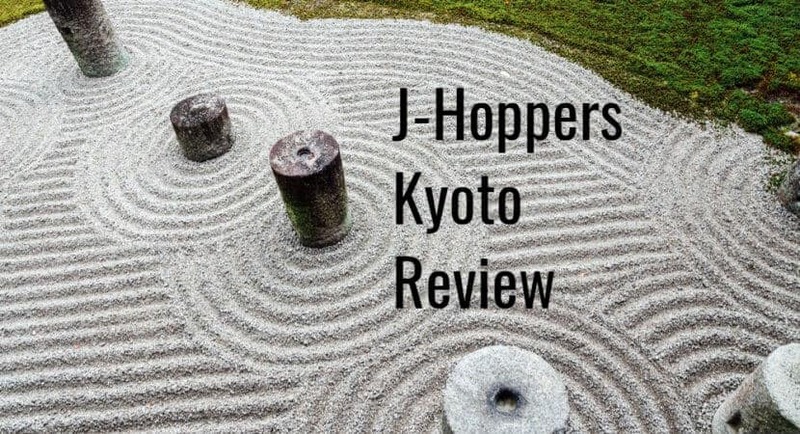 J-Hoppers Kyoto delivers everything it promises at a great price. However, it loses points for the lack of elevator and small storage space. Aimed at catering for backpackers, J-Hoppers Kyoto Guesthouse is a budget hostel located within walking distance of Kyoto Station.Opened by a trans-continental motorcyclist in 2002, J-Hoppers Kyoto now has 15 years of experience dealing with foreign travelers. If you’re apprehensive about staying in a hostel, J-Hoppers is a great place to start. 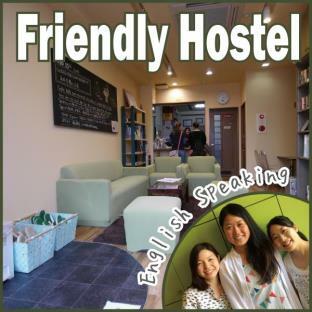 The hostel has a ton of amenities to make your stay more comfortable, and is clean and safe—Japan’s reputation for hospitality extends to its budget accommodations, and its hostels truly deserve their world-class reputations. However, the biggest downside to Japan’s hostels is the noise, especially if you’re staying in a dorm room. If you want a good night’s sleep, the best thing to do is to stay in one of J-Hoppers Kyoto’s private rooms. If your accommodation budget only stretches as far as the dorms, however, each dorm bed is equipped with a privacy curtain, which makes a big difference to being able to sleep. If you find yourself unable to sleep because of the noise made by your fellow guests, you can buy earplugs from the reception desk for 150 yen. J-Hoppers is small, with room for only about 40 guests. This is deliberate, as the owners believe this is the optimum number to create a friendly atmosphere between the staff and guests. The friendly atmosphere at J-Hoppers backs this up! With frequent international events organized by the staff, J-Hoppers hopes to promote cultural exchange and friendships between international visitors and Japanese guests. In fact, J-Hoppers market themselves to Japanese guests less as accommodation, and more as the chance to meet foreigners curious about Japan. This makes it very easy for travelers to make friends and find traveling companions. J-Hoppers Kyoto Guesthouse is a no-frills accommodation option. You can choose from mixed or female only dormitories, and twin, triple, and single rooms. All rooms have an AC unit, and Wi-Fi is available throughout the hotel. There are shower rooms available 24/7. Soap and shampoo are provided free of charge, but you’ll need to either pack a towel or rent one from reception for 70 yen. No meals are provided by the hostel, but there is a common kitchen with fridges, gas ranges and a full array of cutlery, dinnerware, and cooking equipment. Tea and coffee are free, and the kitchen is stocked with basic cooking essentials like oil and seasonings. The lobby area is open for guests to use until 10:00pm, while the living room is open 24/7. 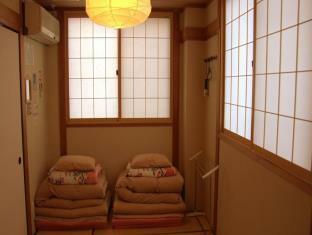 One of the biggest advantages of J-Hoppers Kyoto Guesthouse is its location. It’s a short 7 to 10-minute walk south of Kyoto Station, located in an area popular with hotels and guesthouses. While at first glance, the mostly Western-style hotel buildings are not inspiring, a stroll around the neighborhood reveals many tiny temples, tucked away between high-rises, and quirky, family-owned bars and restaurants. The neighborhood has many conveniences for travelers including restaurants, post offices, banks, convenience stores, supermarkets, and discount ticket shops. Kyoto Station is the main transport hub in Kyoto, and there is ample tourist information and guidance at the station. Also, the hostel is walking distance from a number of tourist attractions, including Shorin-ji Temple, one of Kyoto’s best-kept secrets. J-Hoppers Kyoto is well served by public transport options. Kyoto Station isn’t only the nexus of the JR trains in the Kyoto region, but on the north side of the station is the bus terminal for most of the city’s buses, making it extremely easy to get to anywhere in Kyoto or beyond. Even closer, the Kujo Subway Station is just a block away. Once you get off your train, follow the signs for the Hachijo East Exit. When you leave the station, turn left and walk along Hachijo Street until you reach the first set of traffic lights. Turn right down route 115/Takeda-Kaido Street and continue straight ahead until you reach the big intersection with Kujo street. This is the third set of traffic lights you’ll pass, and there is a 7-11 convenience store on the opposite side of the road, on the right. J-Hoppers Kyoto Guesthouse is across the intersection on the left, located in a five-story building. It has a brown front, is grey beyond, and has white verandas. The highway bus terminal is located on the west side of Kyoto Station’s Hachijo Side. Head east until you reach the Hachijo East Exit, and then follow the directions above. 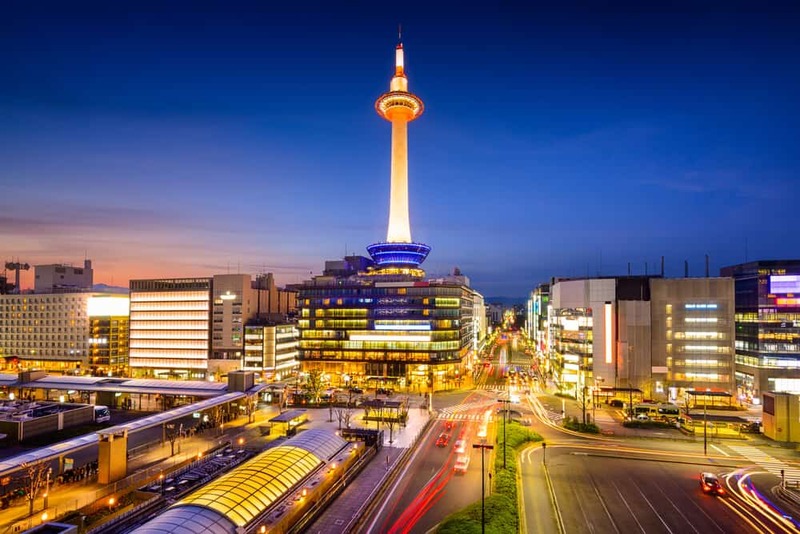 Take the Airport Limousine bus to Kyoto Station. The bus stop is on the Hachijo side of the station. Once you get off the bus, look around for the El Inn Kyoto. Facing the El Inn, turn right. Follow the road you’re on until you reach the big intersection with Kujo Street. J-Hoppers Kyoto Guesthouse is across the intersection on the left. Kujo Station is on the Kyoto Municipal Subway’s Karasuma Line. Take exit three, and simply walk straight ahead for one block, until you reach the big intersection (there will be a 7-11 on the right-hand side). Cross the intersection and you’ll find J-Hoppers on your right. It’s possible to transfer to the subway at Kyoto Station. The buses are more convenient to get to Kyoto’s attractions, with buses 202 and 207 going from the hostel to Kiyomizudera and Gion, but if you want to take the bus to the hostel, head to the bus terminal on the north side of Kyoto Station, and find the stop for route 208. It goes in a circuit around Kyoto Station, so it doesn’t matter which direction the bus is going in. Get off at Oishibashi stop. The fare is a flat fee of 220 yen that you pay to the driver when you exit the bus. There are no shuttle services between J-Hoppers Kyoto and the transportation options. 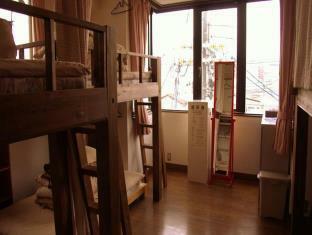 However, the hostel does offer a number of rental cycles available for 700 yen per day or 200 yen per hour. If renting a cycle, keep in mind that Kyoto has strict rules about bicycle parking and if you do not park in a designated area and the bike is impounded, you will be responsible for paying the fine. When you rent the bicycle, staff will give you a map that includes bicycle-parking areas near Kyoto’s main tourist attractions. There are two dormitories. The eight-bed mixed dormitory (available to male and female guests), and the six-bed female only dormitory. All beds in the dormitory are bunk beds with a single mattress. The beds have room for your futon and a little extra space so that you can keep your belongings with you if you choose. 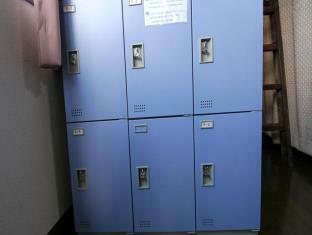 There is a small locker provided, with room for a laptop, but not a full backpack. There is a luggage storage room at the reception where you can store your luggage. However, there is no elevator, which is pretty inconvenient! When you check in, you’ll be provided with fresh linen with which to make your bed. When you check out, strip the bed of the linen and place it in the laundry bins on each floor. The twin rooms come in two varieties. Western style, which is a bunk bed with two single mattresses, or Japanese style, which means sleeping on a futon on a tatami floor. The Western style room includes a desk and two chairs and a shelving unit, while the Japanese style comes with floor cushions and a low table. The triple room includes one single bed and a set of bunk beds, with a table and three chairs. The single room is Japanese style, with a futon on a tatami floor. The rooms are small, and although the chairs make it possible to sit in your rooms, the small space and rules against consuming alcohol in the rooms make the shared common spaces a much more comfortable option. Note that J-Hoppers does not take bookings of groups of seven or more people, and won’t allow more than four people from the same group in one dormitory room. They also only allow children under 12 to stay in their private rooms with their parents. Prices start at 2,500 yen per person per night in the mixed or female-only dormitories, 3,000 yen for twin and triple rooms, and 3,500 yen for a single room. All prices include tax. There are discounts for long stays that are automatically applied if you book through the J-Hoppers website: 5% for two nights, 7% for three nights, 10% for four nights. The English reservation page makes it easy to book online, and you can pay by cash or credit card. Please note that although J-Hoppers accepts payment by credit card, they are unable to give cash advances on your card. Instead, head to a nearby convenience store where there is an international ATM. To take things easier (as well as finding good deals), you can make a reservation online via Agoda or Booking.com and pay with a credit card. In addition to the long stay discount, J-Hoppers is a hostel chain with their own point card. Every night you spend at a J-Hoppers hostel allows you to collect points, which you can apply towards the cost of your accommodation, or redeem for snacks or souvenirs. Check-in is from 3:00pm – 10:00pm, and check out is from 8:00am – 11:00am . If arriving after 10:00pm, let the hostel know in advance so that they can make arrangements for you. The reception is open from 8:00am – 2:00pm, and 3:00pm – 10:00pm. There is no curfew, but after 10:00pm the main doors are locked and you will need to use the pin-code (given to you on arrival) to enter. J-Hoppers staff are well traveled with good English skills and an enthusiasm for foreign cultures. They are able to give you sightseeing advice, and help you make onward bookings, but they are not a travel agent. The staff at J-Hoppers Kyoto update the hostel’s blogs regularly with upcoming Kyoto events and reviews of local bars and restaurants. Even if you’ve visited Kyoto many times before, they’re bound to be able to recommend you somewhere new. There are two computers in the common living room that are available for guests to use free of charge. If wishing to use Skype, you can borrow a headset for free from the reception. There are washing machines and dryers available for use. The washing machine is 200 yen per load and the dryer is 100 yen for thirty minutes. Detergent is free. The reception will loan you padlocks, alarm clocks, adapters, irons and a variety of other goods. You can also buy toothbrushes, shaving razors, padlocks and earplugs. Free Wi-Fi is available throughout the hostel. J-Hoppers Kyoto is not designed with physical disabilities in mind. Guests with mobility issues, in particular, will find the hostel challenging as there is no elevator and unless you stay in a Western-style private room, it is impossible to reserve a bottom bunk. There are also no baths, only showers. If you really want to stay at J-Hoppers, book your accommodation six months in advance. The hostel is really popular and tends to fill quickly.